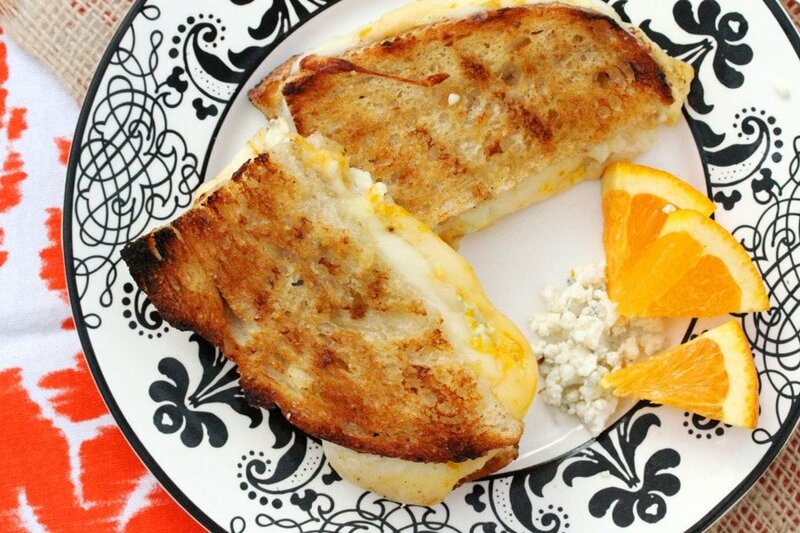 A grilled twist to a classic grilled cheese sandwich. 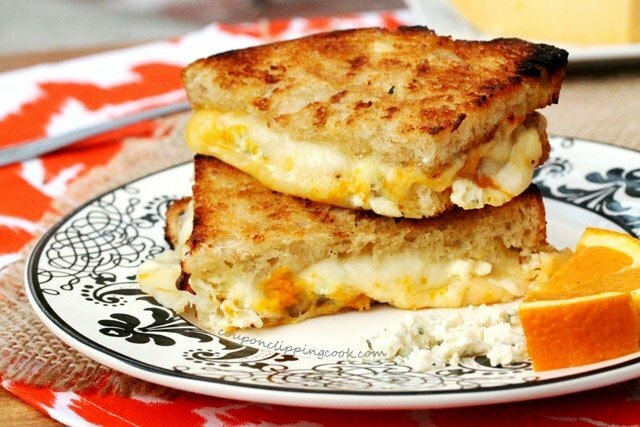 A grilled cheese sandwich can be anything you want it to be. 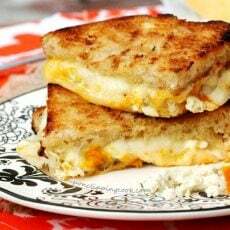 It can be a simple old fashioned grilled cheese sandwich made with white bread and Velveeta cheese. 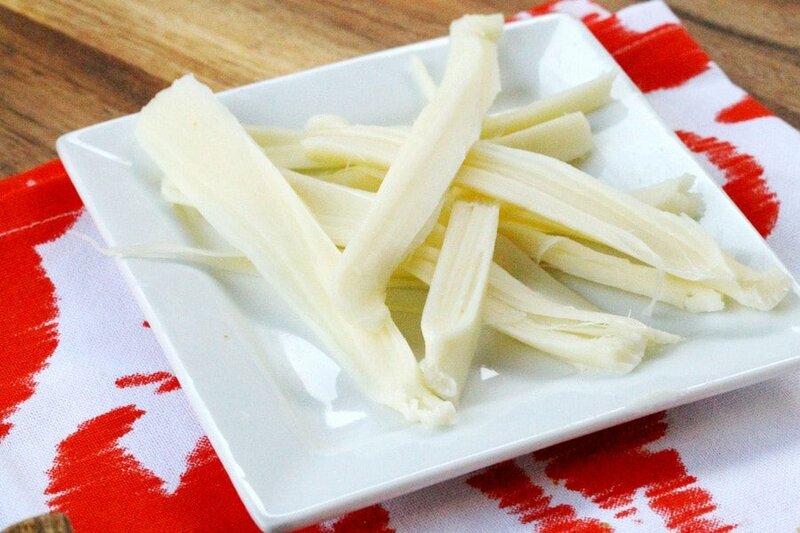 Or it can be a fancy grilled cheese sandwich roll-up, or made with all kinds of goodies like smoked gouda and artichokes, roasted asparagus and tomato, or even with crispy onion rings on the inside. 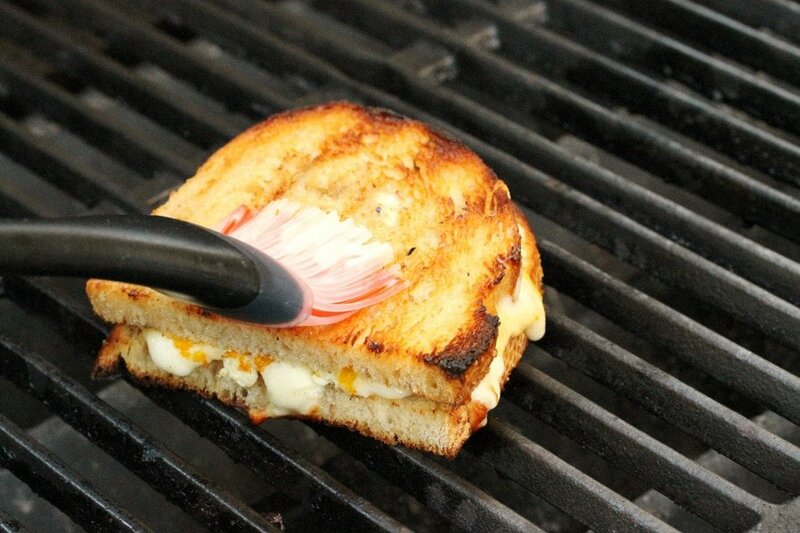 I came across a grilled cheese sandwich at a restaurant that had orange zest in it. 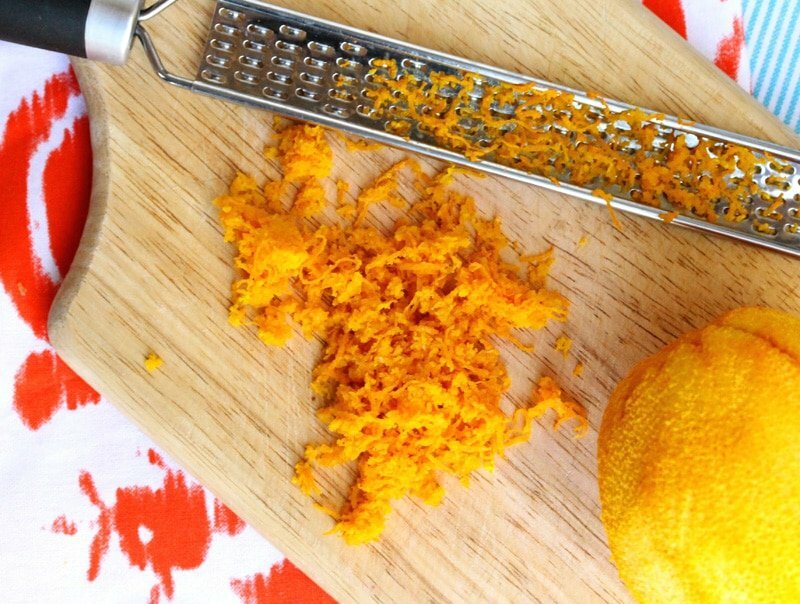 It was such a unique idea to add orange zest that I just had to make it myself. 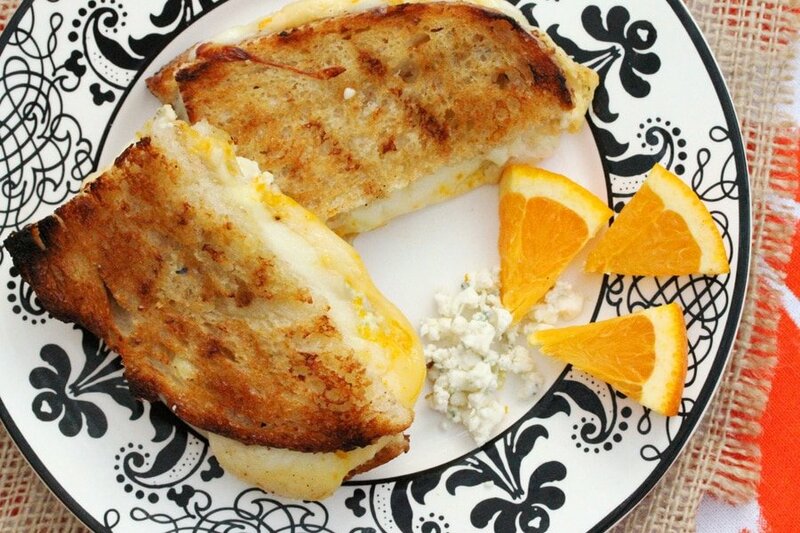 In this orange zest grilled cheese recipe there are 3 types of cheese; string cheese, crumbled blue cheese, and Gouda cheese. 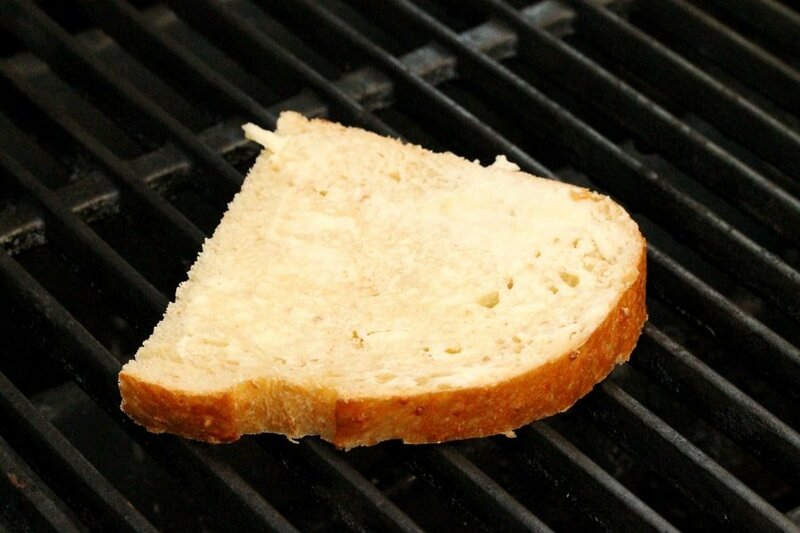 This sandwich is grilled on the BBQ which gives it a super delicious crunch, a hint of smoky flavor, and fun grill marks on the bread. Heat the grill on medium heat. Next, spread softened butter on both sides of each piece of bread. 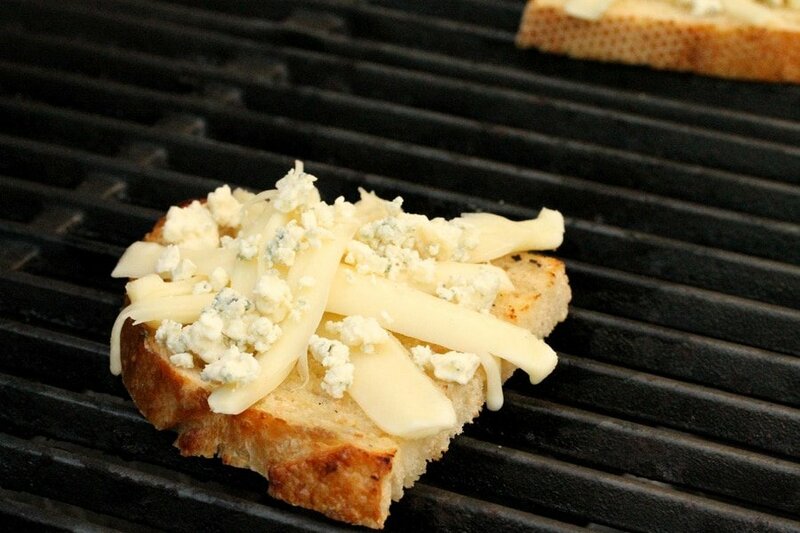 To the preheated grill, add the buttered slices of bread. 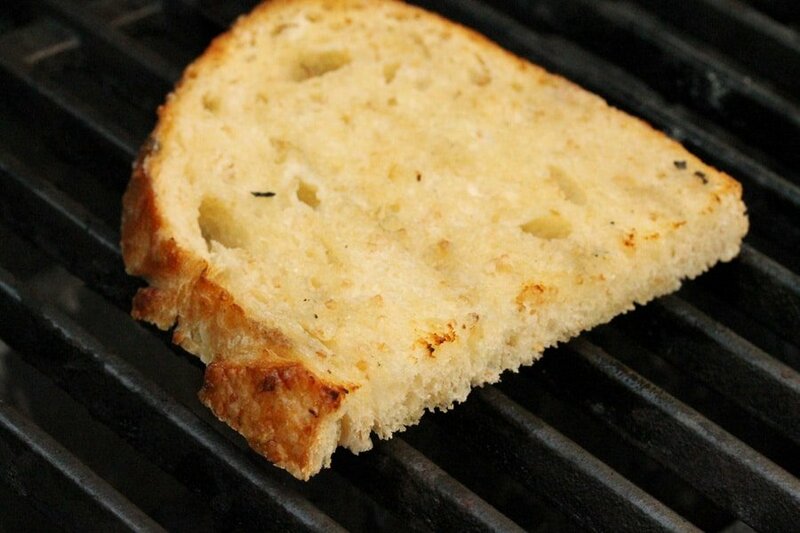 Cook until there are light grill marks on one side (about 4 minutes) then turn the pieces of bread over. 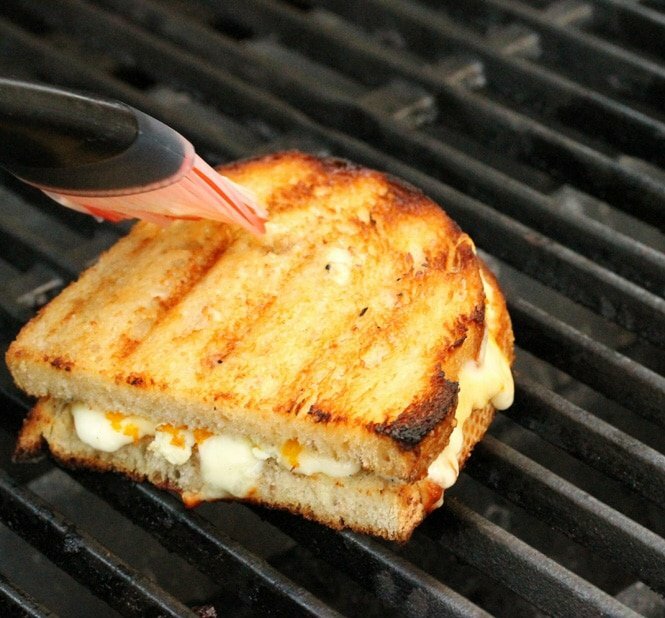 Then close the lid on the BBQ until the cheese is melted and there are grill marks on the bread that is grill-side down (about 5 minutes). 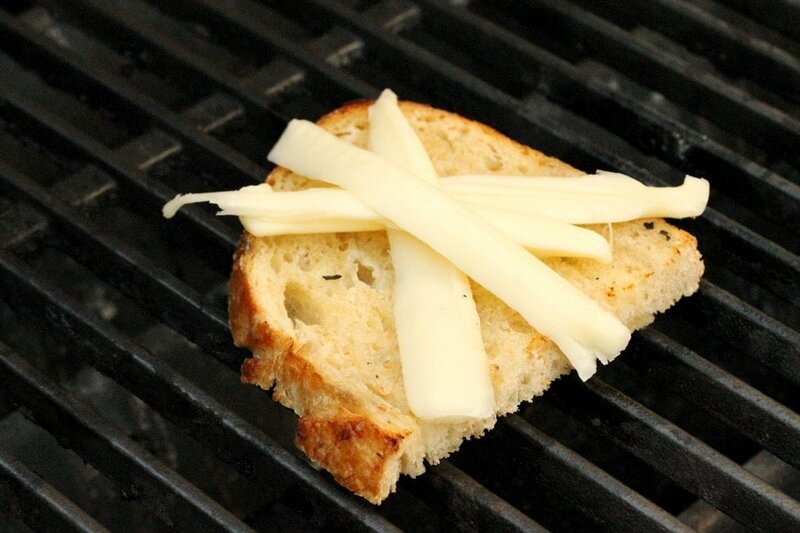 Next, turn one of the pieces of bread with the melted cheese over onto another piece of bread with melted cheese to make a sandwich. 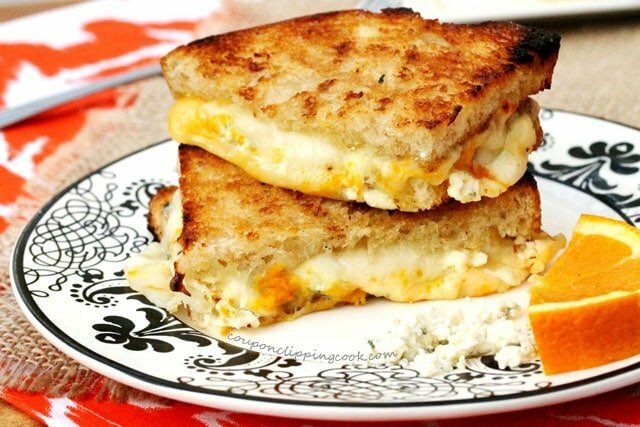 Repeat for the remaining 2 slices of bread with melted cheese. 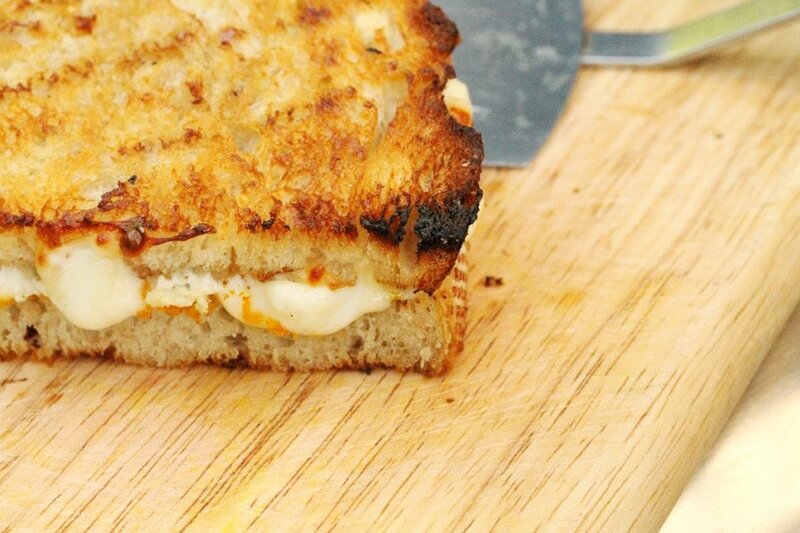 …brush the melted butter on to the top and bottom pieces of bread for each sandwich. 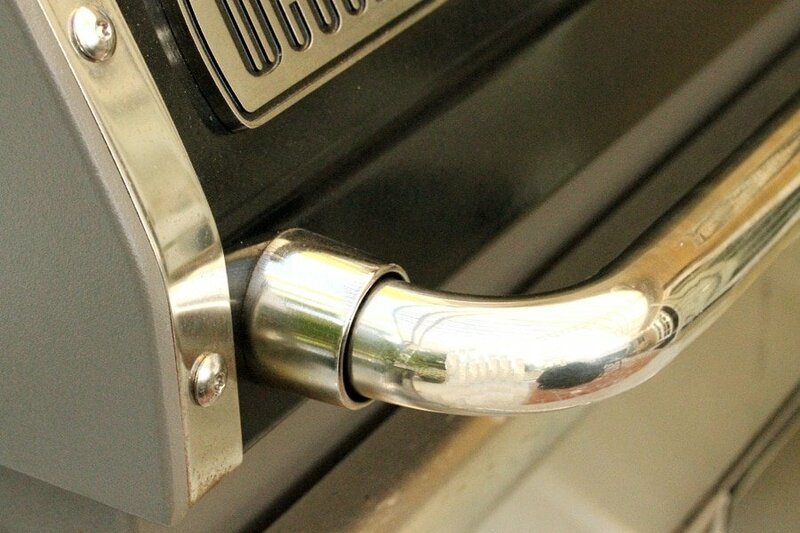 Heat the BBQ grill on medium heat. 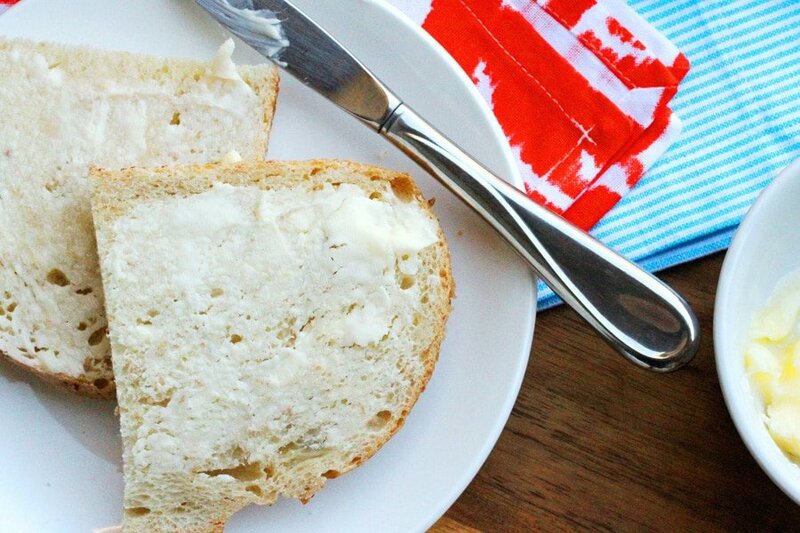 Spread softened butter on both sides of each piece of bread. 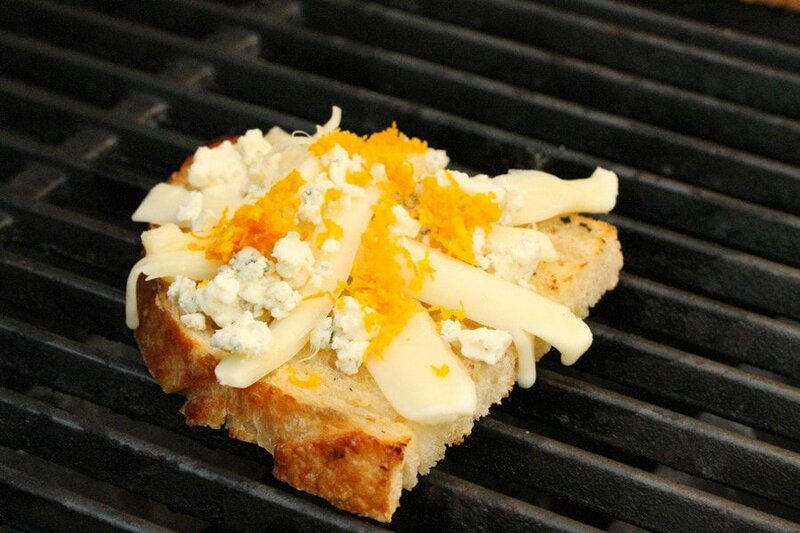 To each of the sides of the bread with the grill marks, add string cheese, blue cheese, orange zest, and sliced Gouda cheese. 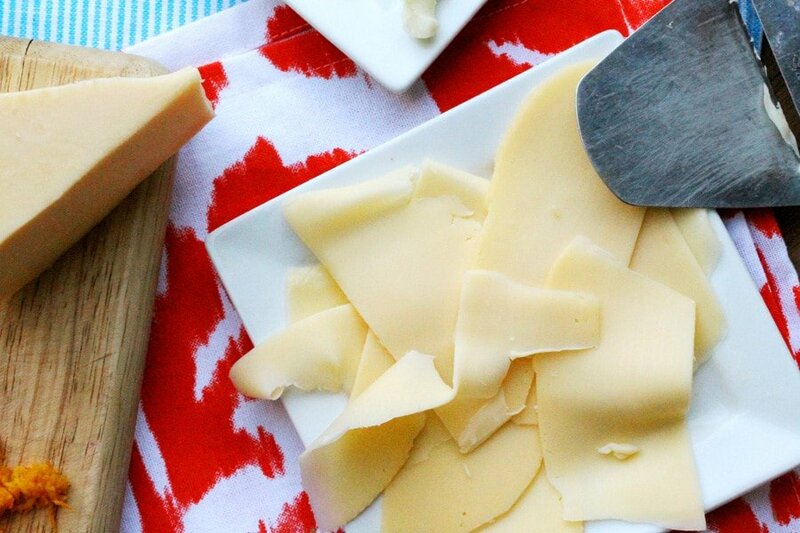 In a small bowl, melt 1 tablespoon of butter and set aside for just a moment. 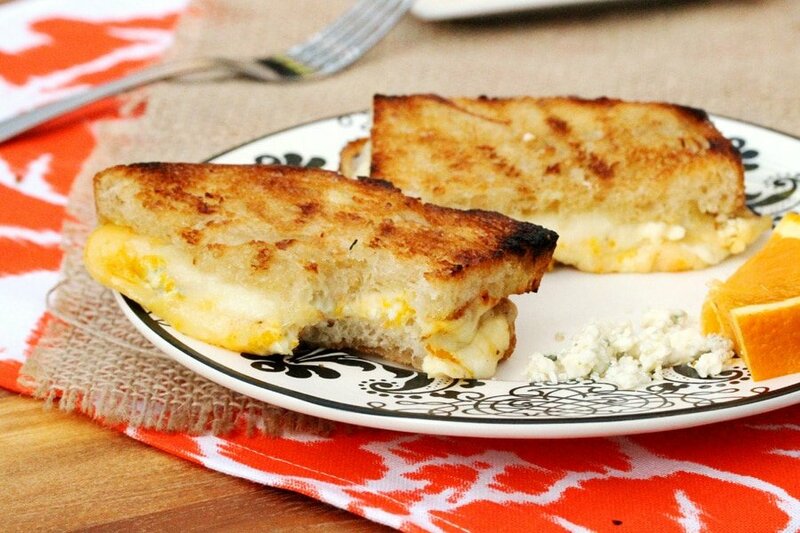 Next, turn one of the pieces of bread with the melted cheese over onto another piece of bread with melted cheese to make a sandwich. 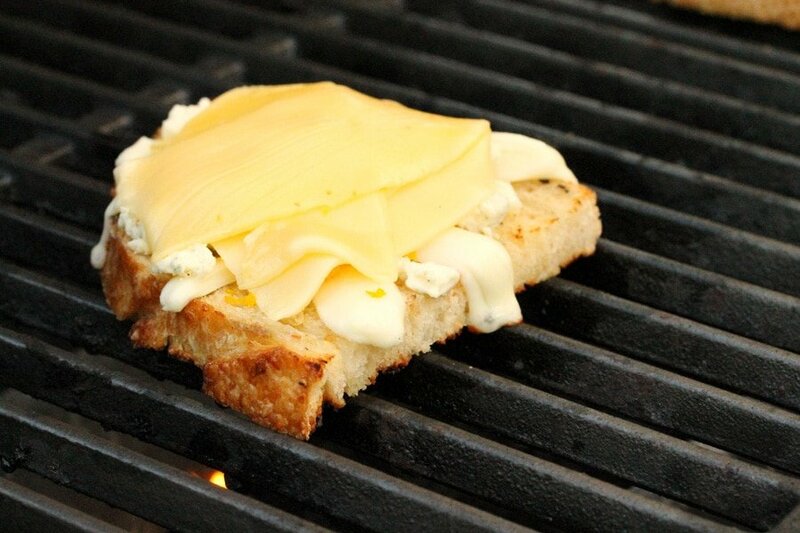 Repeat for the remaining 2 slices of bread with melted cheese. 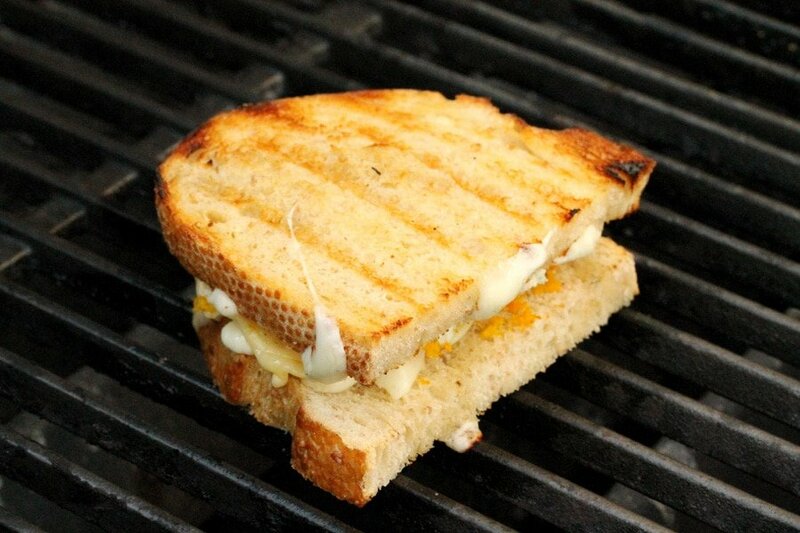 Then brush the melted butter on to the top and bottom pieces of bread for each sandwich. Yum! 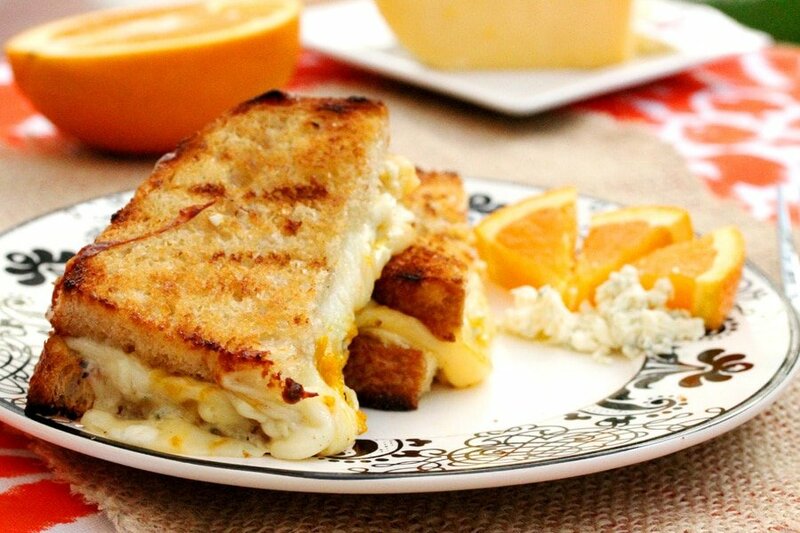 Love these gooey sandwiches…what a great idea to add the orange zest, that sounds super delicious! Hi Sara, thank you for stopping by! Hi Javelin, so glad you like it. And thank you very much in advance for featuring this post in your roundup! 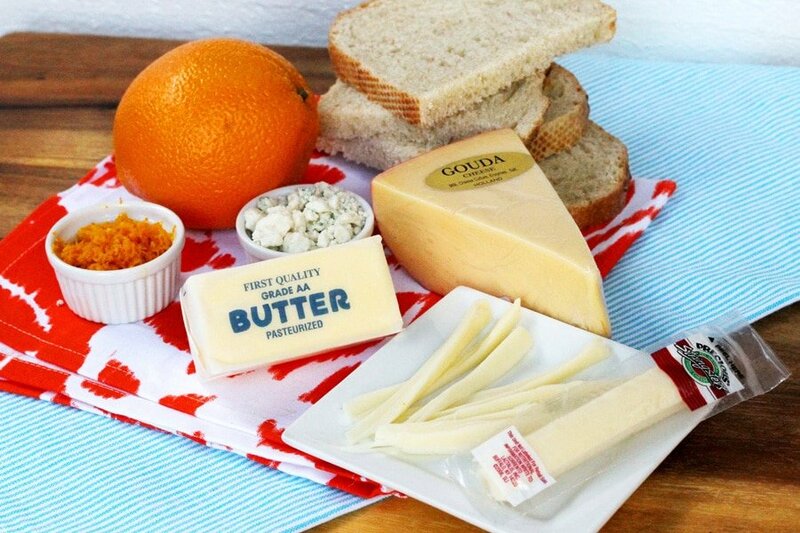 Oh, my…I LOVE the idea of blue cheese and orange zest…brilliant! Hi Ann, thank you! Have a nice weekend!